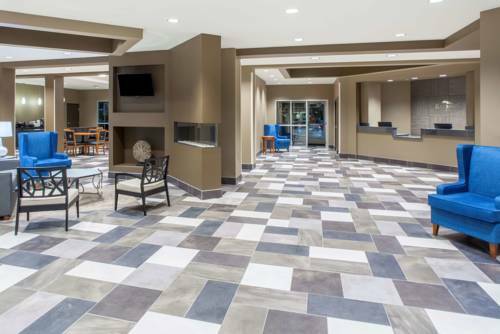 Visit Baymont Inn and Suites Grand Forks hotel near Grand Forks International Airport, the Japanese Gardens at Sertoma Park, the Greater Grand Forks Symphony and the Empire Arts Center. Rooms have HDTV, complimentary WiFi, microwave, mini fridge, ergonomic chair and desk, and coffee makers. Other amenities are an onsite fitness center, indoor pool and complimentary continental breakfast. Other attractions include Rivers Cities Speedway, Grand Forks Air Force Base, Columbia Mall, Alerus Center, Ralph Engelstad Arena, Fire Hall Theatre and Grand Forks County Fairgrounds. Businesses nearby are LM Wind Power, Riverview Urology Clinic, Altru Health System and Minnkota Power Cooperative. There are many restaurants available a short drive away. Pets are welcome. ~28 miles from Grand Forks. ~24 miles from Grand Forks. The KVLY-TV broadcast mast, 2,063 feet high, has reigned unchallenged since 1991. ~40 miles from Grand Forks.